KarenDePaola, Terri Irving, MonRay Francois, Danielle Pitts, Reverend Kellie Y. Wofford, Bernard McClinton, Robert Faulk, and Cassandra Diane Ruffin. 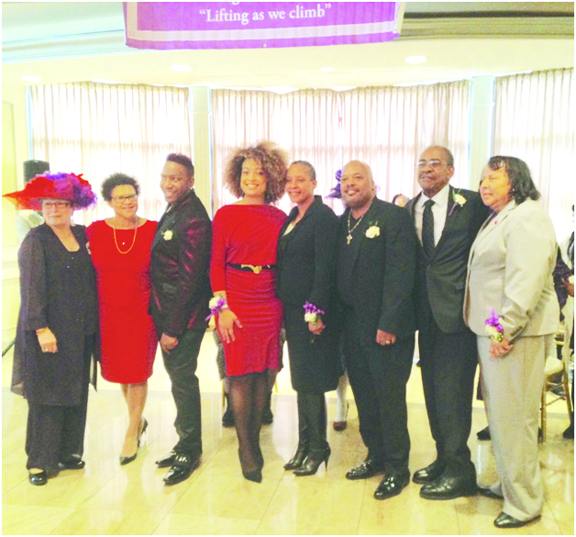 WAPPINGERS FALLS– The Poughkeepsie Neighborhood Club, Inc. sponsored its 101st annual Lincoln Douglass Luncheon, on Saturday, February 2 at the Villa Borghese in Wappingers Falls. The Lincoln Douglass Luncheon is an annual Black History program held in February, which pays tribute to people who have made a difference in the lives of people in the Hudson Valley. Eight distinguished citizens of the Hudson Valley were acknowledged for their community service. The honorees were: Karen L. DePaola, Robert Faulk, MonRay Francois, Terri Irving, Bernard McClinton, Danielle Pitts, Diane Ruffin, and Reverend Kellie Wofford.